1. 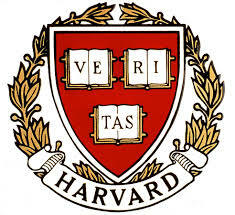 You must possess Harvard Alumni Association (HAA) login credentials [Harvard Key] to login. If you already have HAA login credentials [Harvard Key], skip to step 3. 2. To obtain your HAA login credential, you must claim your HARVARD KEY. Go to: https://key.harvard.edu and complete the Harvard Key process as instructed. 3. Using your Harvard Key, visit: www.harvardclubnevada.org. Login to the website. 4. Click on the Membership tab and select: "join/become a member" or "renew membership." is needed for this first step. Submit your application. 6. Once submitted, your initial membership application is sent to the board for review. and you are an alumnus/ae, spouse, parent, or qualified affiliate (ivy plus member,etc). donation, preferably by credit card, as indicated for your membership level. 9. Club Members have full access to all member pages, including the forum pages for posting. 10. Join us for activities and help us plan more! Description: For Harvard Degree holders & spouses only. Voting Membership. May be eligible for undergraduate college interviewing. Description: Harvard certificate holders; parents of current Harvard students or alumni. [non voting; no interviewing]. Description: Non-voting membership for alumni from Ivy League colleges and other selective colleges & universities (All Ivy Plus). Allows for free participation in local events, except ticketed events, and non-voting benefits available to alumni members. Description: Help sponsor care packages sent annually to Harvard undergraduate students during finals week. Description: The Harvard Summer Fellowship program provides opportunities for current Harvard undergraduates to intern or volunteer locally within business or charitable organizations. Description: Available only for All Ivy Plus Officers. This is a select membership category for all of our Ivy Plus officers. Description: Recent Graduates of Harvard College, less than five (5) years. Description: (5) Five-year membership donation. Description: (5) Five-year club membership donation plus! Description: Choose this membership category if you MAILED in a Membership donation. Membership will be activated manually (no credit card needed) upon receipt of donation.